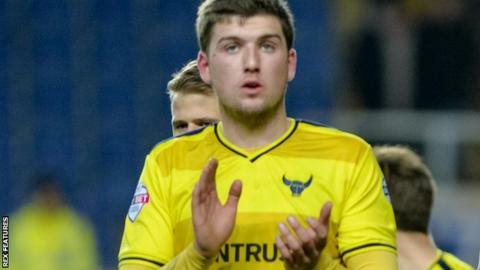 Oxford United have completed a deal to keep on-loan Stoke City striker George Waring at the League Two club until the end of the season. The 21-year-old arrived on a one-month emergency loan and has made seven league appearances for the U's. The extended deal makes Waring eligible for all competitions, including Oxford's Johnstone's Paint Trophy final against Barnsley on 3 April. "I've thoroughly enjoyed my time here," he told the club's website.